The chaga mushroom (Inonotus obliquus) grows on birch trees in the Northern Hemisphere. 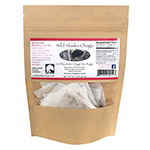 Chaga has been used for centuries to make a healthy tea with a pleasant flavor. Recently, numerous beneficial compounds have been discovered in chaga including: high levels of antioxidants, triterpene sterols, betulinic acid, polyphenols, phytonutrients (superoxide dismutase, beta-glucans, melanin, polysaccharides, etc. ), adaptogens, amino acids, and numerous vitamins and minerals. Scientific research has indicated that compounds found in chaga may have numerous health-enhancing properties. * Levels of these compounds and the associated health benefits are further increased by the harvesting of wild chaga compared to the cultivated variety. 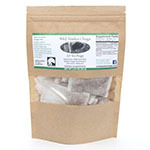 More about the Health Benefits of Wild Chaga. 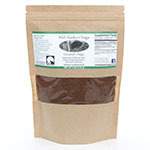 Wild Alaska Chaga from Fairbanks is the northernmost (Latitude 65° North) chaga you can buy in the Western Hemisphere. It sustains colder winter temperatures (-60° F) than does chaga found in other regions. These two unique growing conditions may create the highest potential concentration of beneficial constituents found in any chaga on Earth. 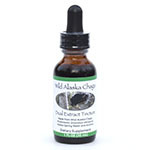 Read more about Wild Chaga from Interior Alaska. 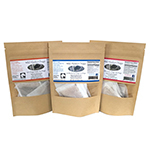 We believe in providing our customers with the finest natural herbal supplements, shipped directly from Fairbanks, Alaska. 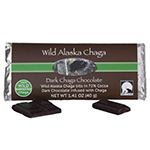 We carefully harvest fresh wild Alaskan chaga mushrooms in small batches, year-round to ensure that our chaga products go from forest to consumer as quickly and as sustainably as possible. 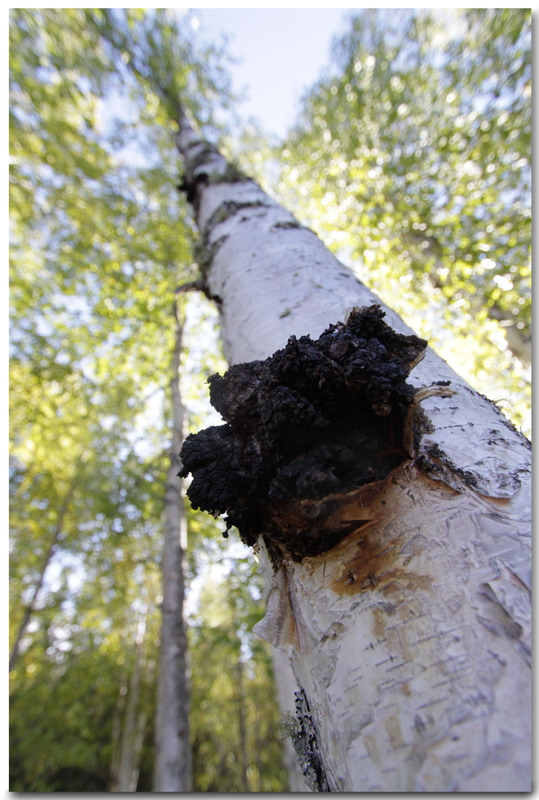 More about How We Harvest Chaga. 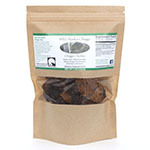 We carry the widest variety of chaga products of any company which also include other wild-harvested and organic ingredients. 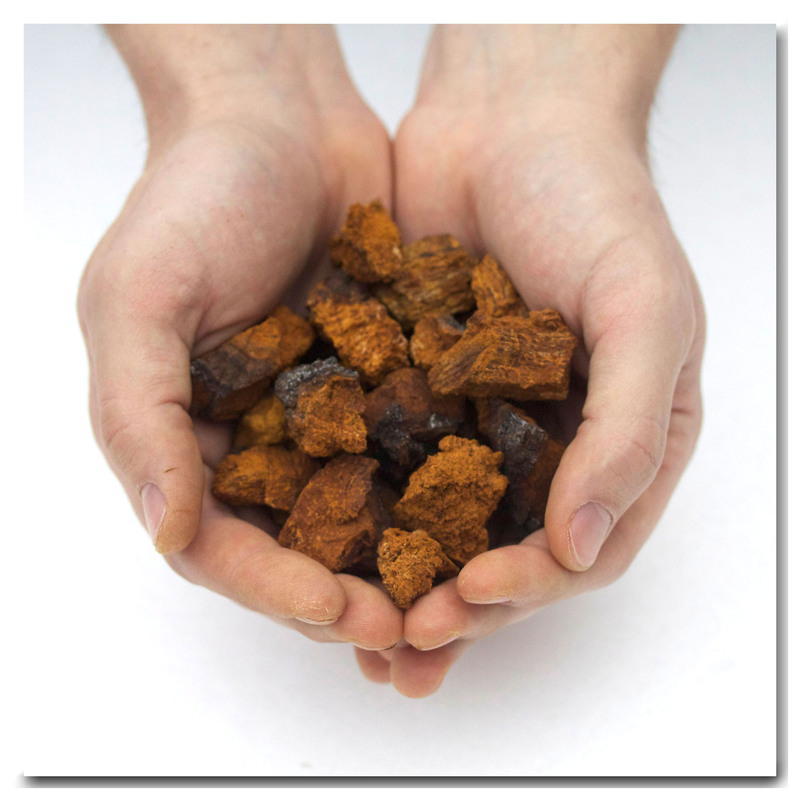 Read more about Our Chaga Ingredients. 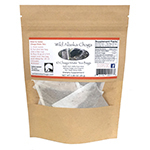 Where can I buy Wild Alaska Chaga? Look no further. 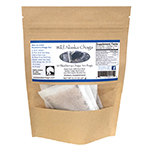 We are the premier seller of 100% wildcrafted Alaska chaga mushrooms which are sold in ground tea, tea bags, dual extract tincture, blueberry chaga tea bags, rhodiola chaga tea bags, chaga mate tea bags, chocolate and dried chunks.